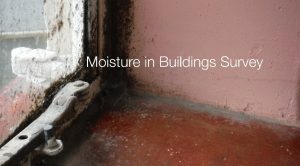 The UK Centre for Moisture in Buildings has developed a short survey to gather the opinions of UKCMB members and colleagues with regard to moisture risk in buildings in the UK. The survey should take around 15 minutes to complete and your answers will be anonymised. The information received will help to inform future research, training and communications strategies for UKCMB as well as providing useful support for funding bids and policy discussions with the insurance industry and government. The information will be collated and assessed, with the findings of the survey circulated. The survey has been kindly sponsored by Saint Gobain and has been compiled by the UKCMB management team and Adrian Leaman from the Usable Buildings Trust.